MS Dockville Festival takes place from August 16 to 18, 2019 in Hamburg, Germany. 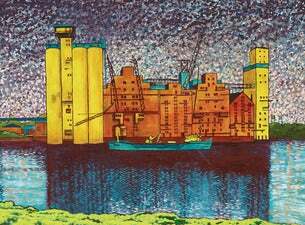 Visitors have come across well-known artists and thrilling newcomers in between maritime setting and pristine nature in Hamburg-Wilhelmsburg for twelve years now. The interdisciplinary festival for music and art entertains visitors with over 150 international bands and DJs, creative fringe events and art installations. MS Dockville tickets are available at Ticketmaster.